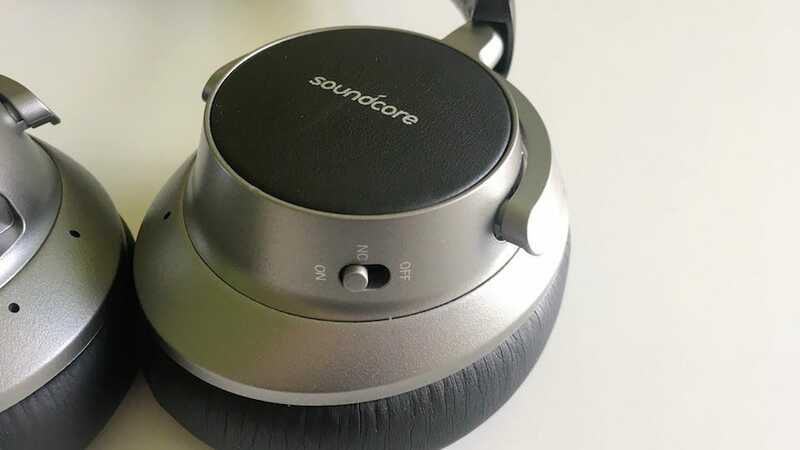 Premium noise cancelling headphones are pretty expensive, but the Anker Soundcore Space NC sets out to prove they don’t have to be. Read on to see why we’re pretty confident they’re worth the $99 you can pick them up for. Yup, $99 for a pair of active noise cancelling over-ear headphones. That sounds suspiciously cheap, doesn’t it? 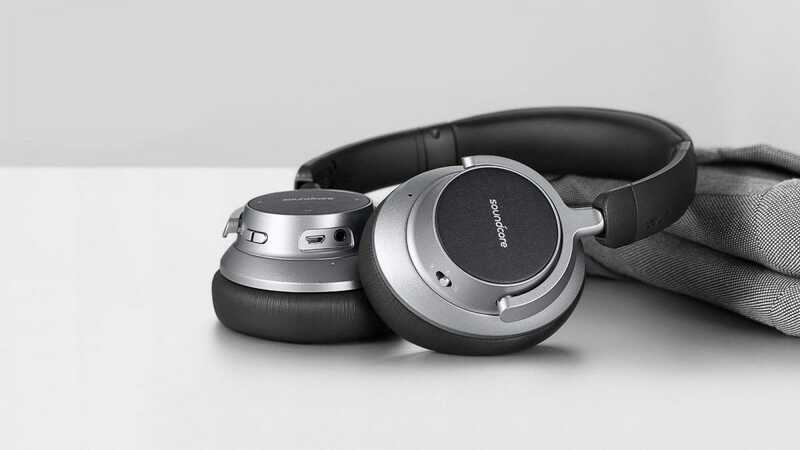 Earlier in the year, we looked at the best over-ear noise cancelling headphones and the strongest performing ones cost between $300 and $400. 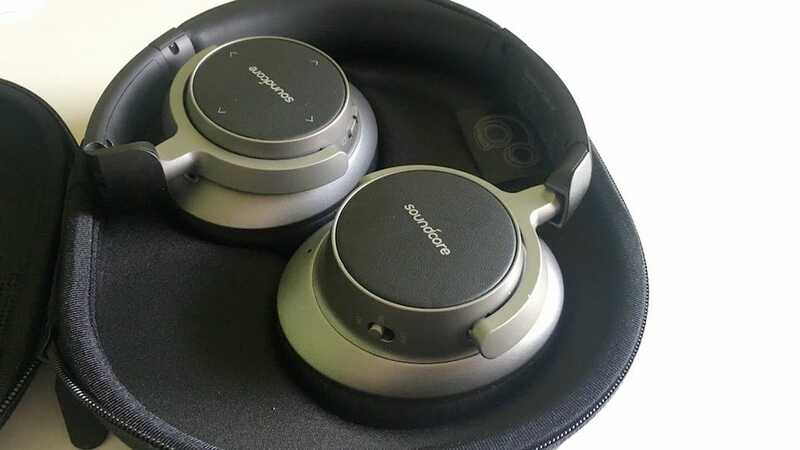 The only ones worth a purchase at the sub $99 price marker were the TaoTronics Active Noise Cancelling Headphones, leaving a substantial gap in the market. Anker’s Soundcore Space NC does a pretty great job of filling that gap. Don’t expect them to compete seriously with much more expensive fare, but they’re a welcome mid-range entry..
Much of that is because—like a lot of Anker products—they simply just work. They’re distinctly no frills in many ways. Pull them out of the box and you’ll instantly notice that these are a pair of headphones that feel a little, well, cheap. They reminded me of some budget headphones I bought years ago so I could listen out for opposition sneaking up on me in Counterstrike 1.6 (yes, that long ago). They’re actually quite sturdy though. Their lightweight design belies a solid overall construction with a metal headband that keeps things feeling suitably snug. Embracing my clumsy side, I managed to toss them gently towards the sofa, miss the target and have them hit the floor. It’s OK, though. Like I said, these are way sturdier than they look. You can even twist and bend the headband without any sense of doom or feeling you’ll snap them. They’re lightweight enough to be comfortable (especially around the ears) while still able to withstand some rough play. Storage wise, the headphones come with a fairly hefty hardshell case. Admittedly, it’s pretty bulky so it’s the kind of case you’d use for long trips rather than just your daily commute, but it’s a valuable option. It’s solid enough that it feels like the kind of case you might buy separately, if you didn’t already have one. There’s room here too for the headphones’s micro USB charging cable and an AUX cable, so you’re good to go no matter your plans. Check out the controls and you’ll see that there’s not actually much to the Anker Soundcore Space NC headphones. There’s a power button and a switch for toggling noise cancellation on or off, as well as a dedicated button for taking phone calls. However, the bulk of how you’ll interact with them is via the touch controls on the right ear cup. These toggle volume and switching between tracks, with taps pausing or playing tracks. They take a bit of getting used to. 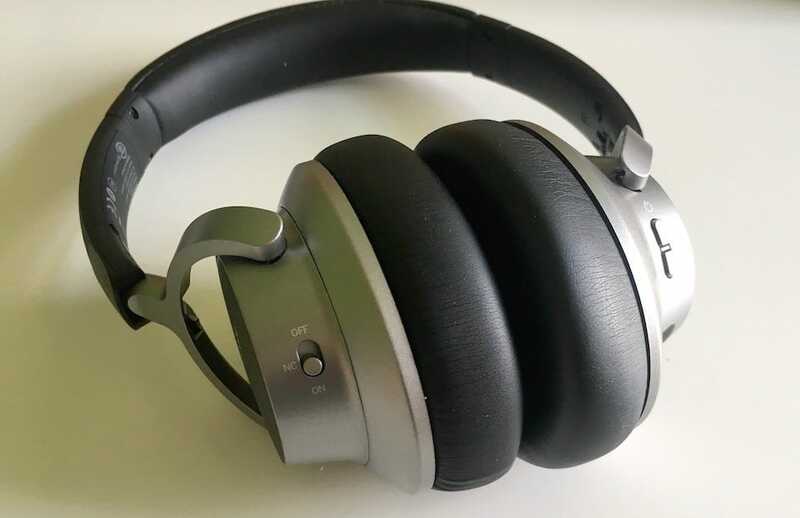 The first few times I wore them, I found it really easy to skip a track simply by brushing my finger across the ear cup. There’s no tactility to them—no physical marker to show where you are simply by feel. Instead, you need to rely on not brushing your hand across them unless it’s a deliberate effort. In the long run, it feels reasonably logical and comfortable but expect some teething issues as you get used to this different way of switching up tracks. A little too often, I found myself hitting the wrong part of the cup, boosting the volume higher than planned rather than skipping a track, for instance. This is as much an issue with these particular headphones as it is with the vast majority of headphones on the market sporting the touch-the-cup type interface though—it’s supposed to feel futuristic but it tends to just be a pain. Anker promises a battery life of about 20 hours in wireless mode with noise cancelling turned on, with an impressive 50 hours if you use them wired with noise cancelling on. Testing them out in wireless mode, they did actually meet those expectations. Anything that means you forget when you last charged them is good in my book, even more so as these headphones take about three hours to recharge fully when the inevitable happens. But, how do they sound, you ask? Pretty good, for the most part. There’s no dedicated app to tweak settings, so you’re limited in terms of what you can do. Unlike more expensive noise cancelling headphones, you can’t adjust the noise cancelling feature—it’s just a matter of off or on. It all ties into the “no frills” attitude that you’d expect from an inexpensive pair of cans. Bass is rarely over the top, nor is it muddled. There’s just the right level of oomph here, so that you feel suitably enthralled by what you’re listening to. Similarly, the highs do a decent job of capturing smooth vocals and the finer details of certain musical tracks. My testing methods involve things like Foo Fighters to check how loud and bassy music sounds, before switching up to the softer, less processed tones of a friend’s album. In both cases, there was minimal distortion and I felt suitably wrapped up in the music. Noise cancellation works reasonably well too, adding to the depth of the music and the sense that you’re cocooned from the world, with just a hint of being able to hear people speaking in a muffled tone around you. However, there is a certain amount of low frequency buzz when you’re listening to a particularly quiet track. Admittedly, your mileage will vary here. If you’re inclined to listen to loud, booming tracks, you’re hardly ever going to notice this. If you listen to quieter tracks with more instrumental interludes, or a home produced track like I happen to sometimes, you’ll notice it. Is it a deal breaker? Far from it. At a third of the price of other models of noise cancelling headphones, it’s reasonable to expect some compromise to be needed. And that’s the key thing to appreciate about these headphones. They’re ideal for their budget. Not everyone has or wants to spend $300 on headphones. For the most part, only dedicated audiophiles will fully appreciate the superior sound quality that a $300 pair of Bose headphones could offer. Instead, the majority of listeners will love the Anker Soundcore Space NC headphones. They’re lightweight but able to take a knock or two, they’re comfy thanks to memory foam ear cups, and they sound good (for the price) too. If you’re on a budget but don’t want to suffer too much noise around you, these are the perfect pair of headphones to snap up. When is a memory card not just a memory card? 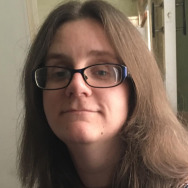 When you need it to do more than sit in a camera. For high-performance hardware, you want to pick one of these MicroSD cards.